Recent events with the likes of ‘Harambe’ the Gorilla have shown that when the borders of a zoo's enclosure are crossed it can easily lead to a deadly situation. In 1990 while enjoying a visit to the zoo in Detroit, Rick Swope did something amazing and yet highly unadvised, but because of it, tragedy was thankfully averted. 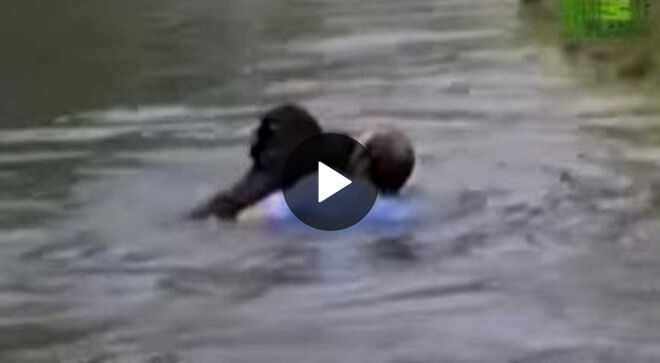 “Everyone in the whole place was just standing around watching this monkey drown,” Swope told the Deseret News. “When he went down the second time I knew I had to do something.” Despite being adamantly warned to not go into the enclosure by a nearby zookeeper, Swope couldn't stand by, he swiftly scaled a security fence and dived into the water, and swam toward Jo-Jo. If you enjoyed this story, then please SHARE with your friends!